We’ve seen some pretty scary airplane seat designs. From unwieldy bicycle-seat triangles to split level stackers, most design firms are just looking for new ways to cram more and more passengers into the cabin. But a new design from Washington-based firm Windspeed Technologies is really a breath of fresh air. 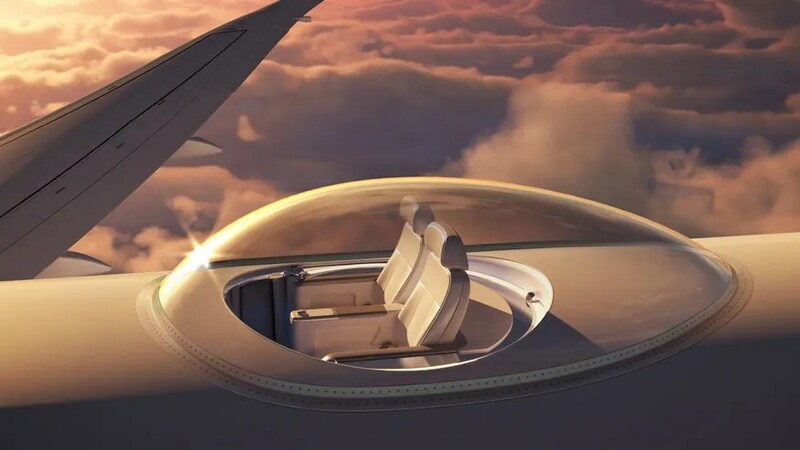 Introducing the SkyDeck— a patent-pending seat design that aims to give a few lucky passengers a 360 degree view of the surrounding clouds by sitting them on top of the plane in a fully transparent bubble. 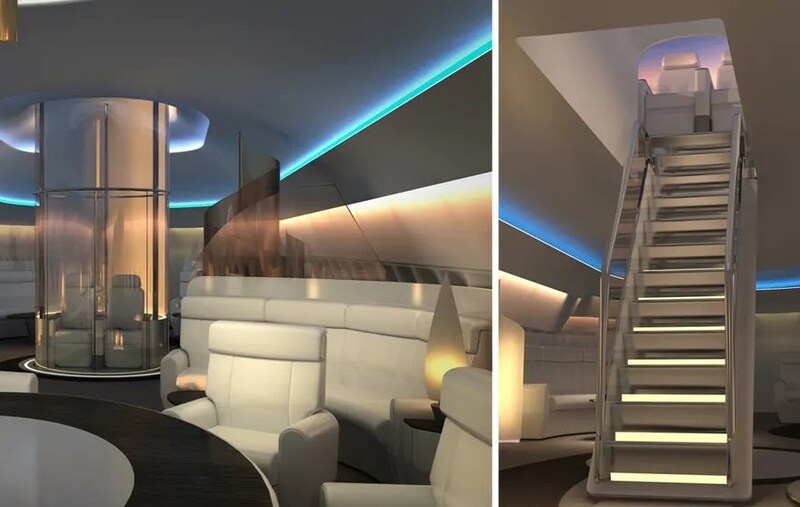 Unlike other seat design models, the SkyDeck is designed to be incorporated into existing types of aircraft and would cost between $8 million to $25 million to install depending on the type of plane. Experience 360 views in Windspeed’s latest video animation. “Current in-flight entertainment offerings have not changed much over the decades. We wanted to come up with a product that would provide a higher level of entertainment to reduce the boredom of long flights,” says Windspeed of the new design. The canopy itself will be comprised of “the same high strength proprietary material as those used on supersonic fighter jets” and will be able to withstand a variety of hits including bird strikes. An aerodynamic “teardrop” shape of the canopy will help reduce the drag factor while anti-condensation film will be applied to stop it fogging up and a UV-protection coating will passengers from burning up inside the transparent vestibule. Guests can access the SkyDeck via a Jetsons-era looking elevator chute or take stairs from the main level galley. Though an airline has yes to put in an order for a SkyDeck, the company says it would take just 18 months from order date until the plane is up and running with its seats in the clouds.